Bangabandhu Sheikh Mujibur Rahman Agricultural University was established in 1998 in South Salna, Gazipur. It is one of the most prestigious agricultural universities in Bangladesh. Now, to know more about this university, read the article below. In this article, we are going to give all the latest info about this university. Bangabandhu Sheikh Mujibur Rahman Agricultural University is a public agricultural university in Bangladesh. This university was founded on 22nd November 1998. This university is 40 kilometers far from Dhaka city and it is standing in Gazipur. The nickname of this public university is BSMRAU. This university has named after the great leader and first president of Bangladesh Bangabandhu Sheikh Mujibur Rahman. The BSMRAU is the top ranked public agricultural university in Bangladesh. It has 185 academic staffs and 329 administrative staffs. This university has a huge campus area approximately 187 acres. Now, current president Abdul Hamid is the chancellor of Bangabandhu Sheikh Mujibur Rahman Agricultural University. And, Prof. Dr. Md. Mahbubar Rahman is the present vice-chancellor of this agricultural university. The total number of the students who come in this university for education is 1400. Among them, 850 students are undergraduates, 350 students are postgraduates, and 50 students are Doctoral. The official website link of this university is www.bsmrau.edu.bd. 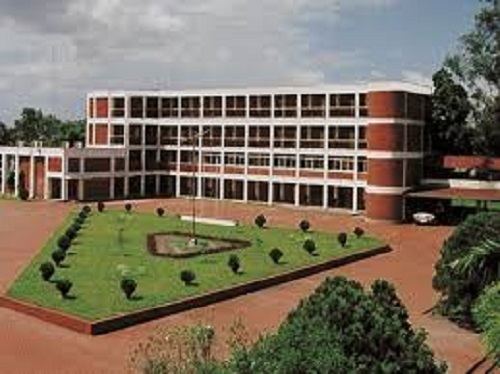 Bangabandhu Sheikh Mujibur Rahman Agricultural University has 4 major faculties. And, under those faculties, it has 36 departments. The names of those faculties are given below. Faculty of Veterinary Medicine and Animal Science. Faculty of Agricultural Economics and Rural Development. In order to get admit in Bangabandhu Sheikh Mujibur Rahman Agricultural University, you must apply for an admission test first. The requirements are very simple. You must have minimum GPA 3.50 in both SSC and HSC exams. And, you also must have total minimum GPA 7.50. The most important thing is that you have to be science background student. And, you have to have grade letter B in the HSC exam in Mathematics, Biology, Physics, Chemistry, and English. Now, after passing the exam with top points you can admit here. 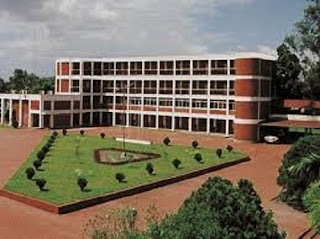 Bangabandhu Sheikh Mujibur Rahman Agricultural University has total 310 seats for the undergraduate students. The faculty of Agriculture has 110 seats among the totals. On the other hand, faculty of fisheries has 60 seats. Now, the Faculty of Veterinary Medicine and Animal Sciences has also 60 seats. And, the Faculty of Agricultural Economics and Rural Development have 80 seats for the students. Bangabandhu Sheikh Mujibur Rahman Agricultural University has the top level facilities. It has a big campus, hostels for the students, and a huge library. The library of this university has 21,000 volumes of books, 258 journals, 1800 volumes of the thesis. This university also has 9 daily newspapers and 2 weekly newspapers. Finally, we hope you have found much info. And, visit our website for updates about Bangabandhu Sheikh Mujibur Rahman Agricultural University.